In the past couple of years as we've been blogging about all of the projects that we do around here, I've been quite surprised to actually learn how MANY of our readers RENT, versus own, when it comes to their current homes. We have readers that we hear from who are constantly moving (and renting homes/apartments), due to having military lifestyles, a spouse with a job that requires them to be in different states or countries for various amounts of time, or even just because they have chosen to rent their home in a perfect location/neighborhood, instead of buy or own at the moment. In fact recently, Homes.com launched their first rental app, optimized for mobile renters so that they can find listings a lot easier. If you're interested in checking it out you can download it in the app store. While right now I don't have to deal with those limitations, there HAVE been times. I remember this feeling all too well when I was trying to establish a "cute home" for me and my little family, when we lived in ridiculously-hot Arizona for a few months while Cason was working. Our apartment was teeny-tiny, and we had LOTS of limitations; down to what size the holes could be in our walls... so believe me, I know ALL about feeling frustrated when it comes to not being able to decorate how you really want to. BUT, I did my best, made due with what I had, bought a few different things that worked better in this smaller space, and despite the 118 degree weather everyday (I kid you not), I was pretty happy with what I finally came up with! And yes, this is all of our stuff, PRE style-shift. ha! It's sort of fun to look back on it all :) We've come quite a long way! That being said, I also know a LOT more now, than I did back then about adding color, storage and personality to a space, without actually having to add paint to a room or knock down a wall. 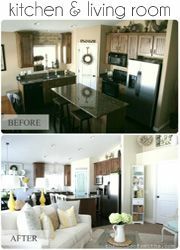 I really liked this breakdown from Homes.com that shows homeowners and renters alike how a room typically goes together. 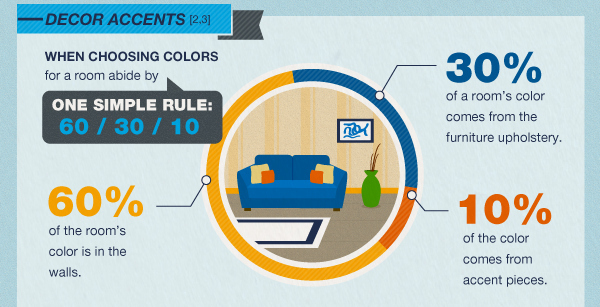 So as a renter, how can you go about implementing these rules into YOUR space? Well, I have some ideas :) But don't worry, these apply to EVERYONE! 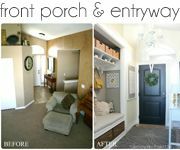 These are both great options, because there's no permanent damage to anything after you're done; PLUS it helps set the stage for the rest of your decor, accents and colors. Obviously the wallpaper will have a lot more of a commanding presence, so take that into consideration when picking out the rest of your rooms items. 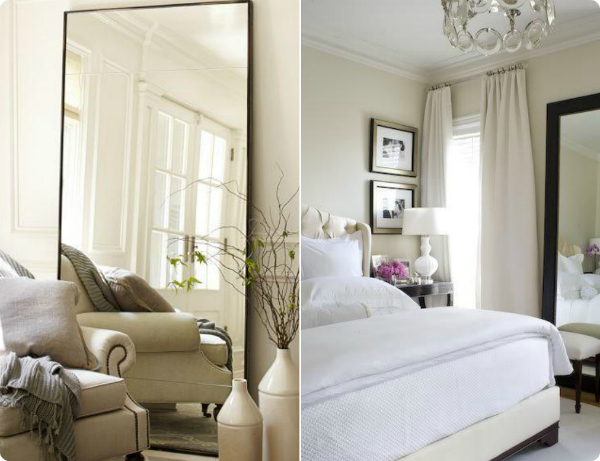 Oversized mirrors will really help make your space appear larger, and also reflect anything else, design wise, going on in your space. Rugs, curtains, pillows, throws, a decorative chair or ottoman. The skies the limit when adding color and pattern using these types of pieces. If you can't change your flooring, throw a rug down! Want to liven up a boring corner? Put a cute sitting chair with fun fabric and little table there. I've touched on this before, but really, besides our custom moldings on the walls, the color in our house is just very neutral and "renter-like" actually. It's all the fun accents and decor that make everything come together. Investing your money into great textiles for a space is really smart, because you can take them WITH you when you leave and use them in your next home too. HOW we organize our things is definitely critical, especially if you're living in a smaller space - functionality is key, of course. But when your space is lacking color or needs some personality as well, what you put all of your organized items INTO, is sometimes just as important! 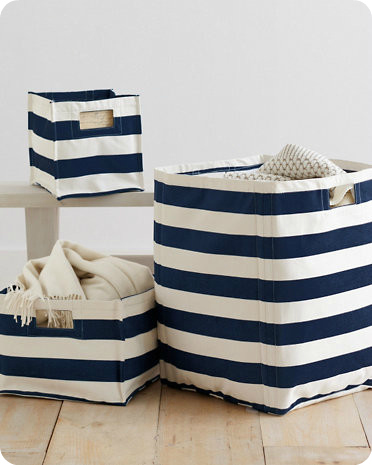 Try to find interesting containers, buckets, bins or baskets for your extra things that express your personality or home's style. 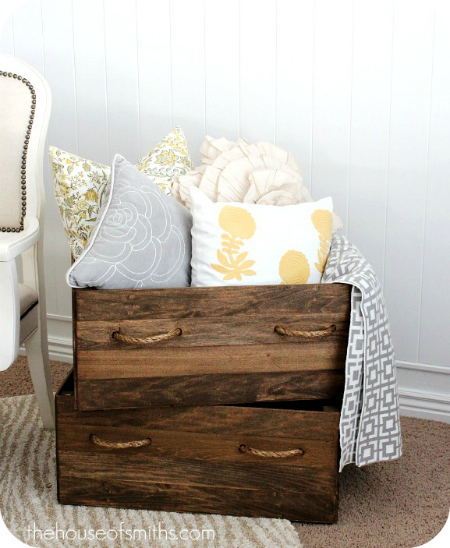 Our DIY crate tutorial can be altered as needed to make any size storage box, and can also be finished in any type of stain shade or paint color. I'm a huge fan of Kirsten's blog, 6th Street Design School. 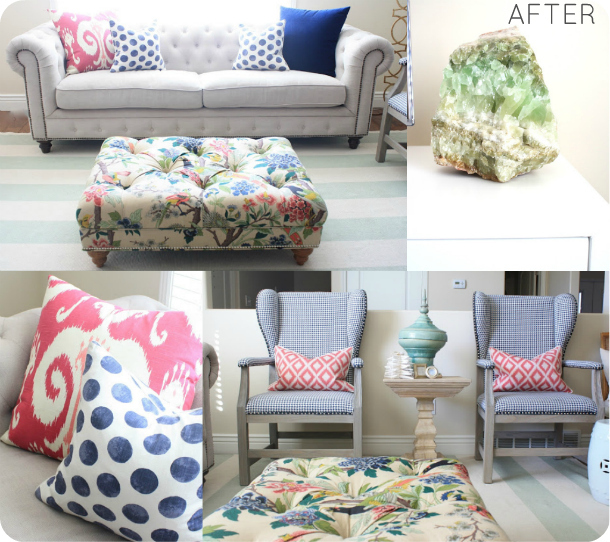 She's an interior designer who has an amazing eye for pairing up colors and patterns together. 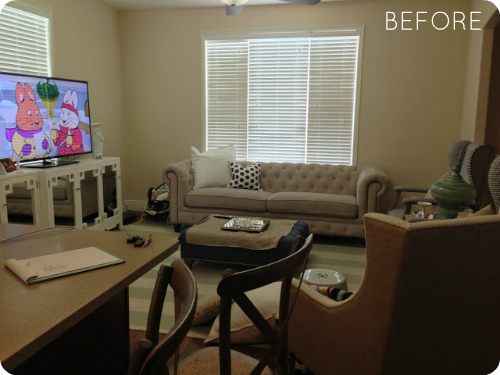 Earlier this year she helped a friend rework and spruce up her rental using a few of the above tips... and woah!, it made a HUGE difference! You'll have to head on over to check out the full post for all the details. 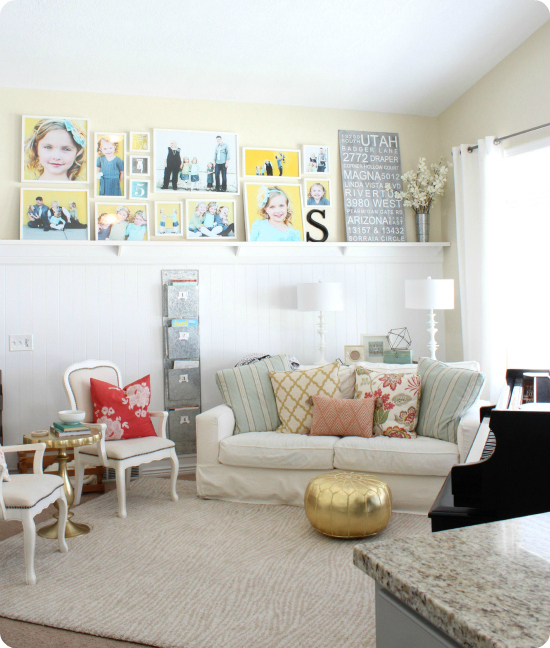 Are you a renter who has overcome the "renter's rut" when it comes to decorating? 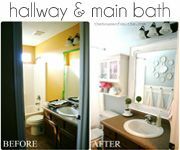 Have you found a great way to customize or personalize your spaces, without adding paint, trim or changing much of anything... but simply adding MORE!? I'd love to know if you have any tips or tricks to share with other fellow renters. I KNOW they would appreciate them! My husband and I rent our home, as do both our parents and grandparents. Our reason is to never be in debt. It's a great feeling when you don't have that burden. That being said, the people that my husband and I rent from know our reasons and are very willing to let us make changes. We can paint the rooms any color, except black and they have no problems with letting us change light fixtures or door knobs. We just give them the items we replace. 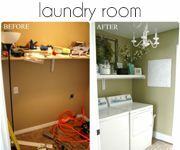 My husband works in carpentry and has also taken on bigger home projects, such as knocking out the old, small closets in our bedroom to build a huge walk-in. In May of next year the kitchen will get gutted and completely redone. My husband and I did the layout and will manage the manual labor while our landlord pays the materials. It's a winner all around. We get an updated kitchen and the value of the house increases for our landlord and she doesn't have to pay for labor, saving about 50% of the cost. ...and, we happily endure the dry 118 degrees for 6 1/2 months of 60-80 degree weather ;) We always pity those moving in during the summer, though. Must be a shocker. Gallery walls filled with colorful art can really make an impact. At my last rental I hung an entire gallery wall with 3M tape so as not to leave any holes. Huge different, lots of pops of color, zero wall damage. 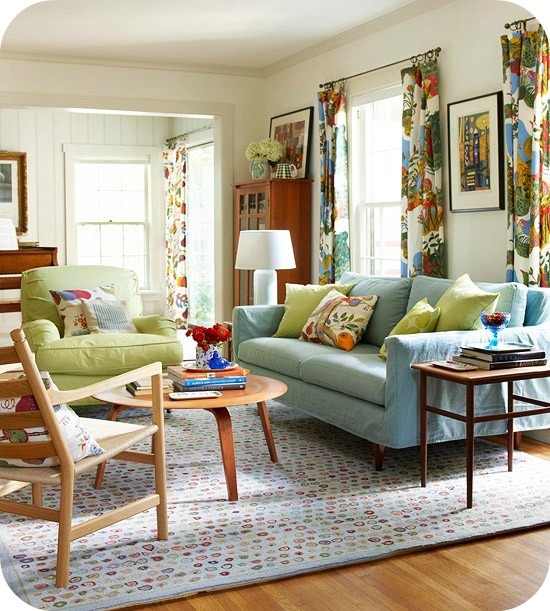 And I agree - textiles that you can take with you, from table linens to drapes and throw pillows can be your best bet! Hello, I am new to the blog and haven't been on for a few weeks. 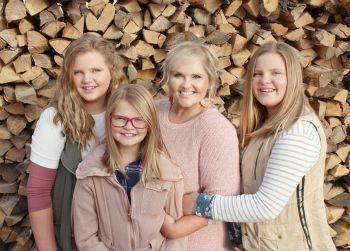 Tonight I thought I would check back in because we are getting ready to move to Ogden to a boring apartment and I was feeling depressed about how I was going to make it feel like home. Lo and behold this great article was right in front of my face! I feel so much better about our situation and found so many lovely ideas. Thank you so much. This is so funny because I'M a renter and I have a love-hate relationship with the challenges it causes when it comes to decorating! 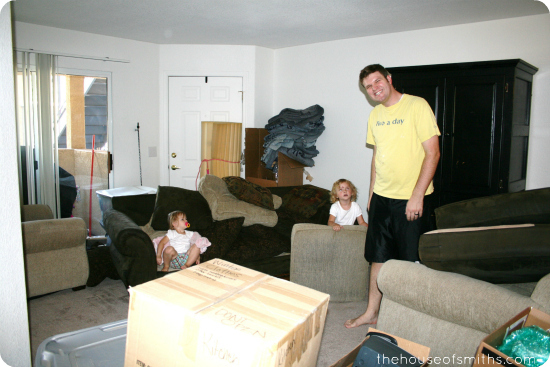 Thanks so much for sharing these tips, from a long time renter, they're all true!! I love living in my rental apartment... I might not have the most interesting walls (even if my partner and I were lucky enough toget to choose the walls and floors for some rooms, if only from a small selection of "neutral" wallpapers and plastic floors) but I've chosen a color or style for each room and now have a home that fits me perfectly. The soft grey walls in our office have been transformed by some plants, a vase with a fake rose, japanese art and curtains and lots of beautiful romantic-looking storage. And our bedroom is on it's way to becoming a simple elegant and relaxing space (I hope) instead of a boring room with five(!!!) 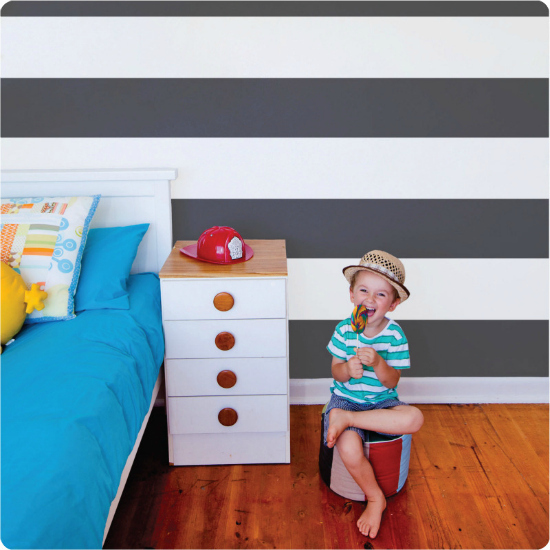 boring white closets and simple striped walls. But I really love living in a home where I can call someone else whenever something stops working! I can never pull anything together but I'm getting better from your blog. Love the way you make a house a home! The neutral base of walls, rug and furniture give the space SO much neutral base, that if I were to go much more simple, I'd lose the personality that I wanted to give this area. For me, with my loud, outgoing personality and decorating style, having these bold pops of color that lead your eye from one area to the other help make you see the WHOLE space, not just one area! Funny that you mentioned so many spots all in your comment, because that's what I was hoping to accomplish! NOT just have people focus on the gallery wall :) haha! Isn't it funny how everyone's decorating style and "mission" is so different!? Shelley vs. Shelley lol :) Thanks for letting me put in my two cents!